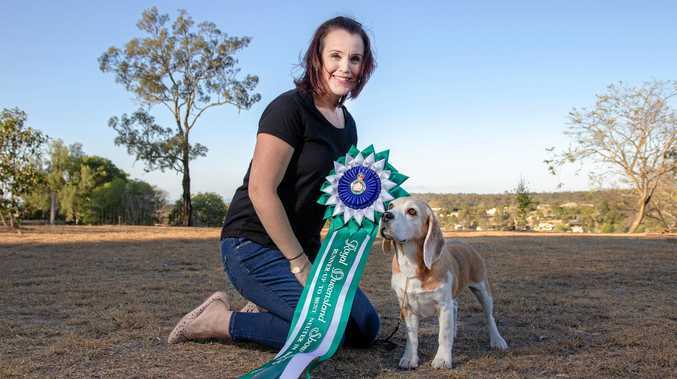 ROSIE the 10-year-old beagle was preparing for her retirement from competitive dog showing earlier this year, but after a top performance at the Ekka her handler Tara McNicol said those plans had been shelved. 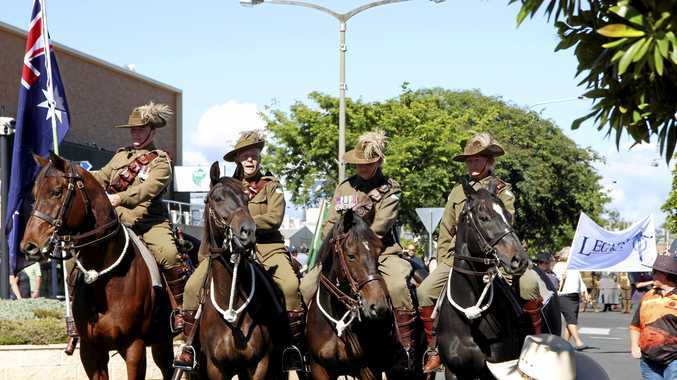 "We've decided because she's enjoying it so much we'll keep her out for as long as she's happy to be out there," Ms McNicol said. Rosie, who shows as Culorgair Desert Rose, had a great result at the Royal Queensland Show, claiming the Runner-Up to Best Neuter at the show as well several other awards. "It's a three-stage competition. First Rosie won neuter of breed so she beat the other neutered beagles, then on the Saturday afternoon she went up against Group 4, which is the hounds - so she then won the best neuter of the hound group," Ms McNicol said. Both Ms McNicol and Rosie's owners Jeff and Desley Souter were ecstatic at the success. "I'm very proud, and I'm very proud of Rosie - being an older beagle too, coming out at that point in time is a big achievement for her as well," she said. Ms McNicol is a relative newcomer to competitive dog showing. She has only been competing with Rosie for the past 18 months and said she was "extremely proud" to have taken out such a prestigious award so early on. Competition is fierce during the show, and Ms McNicol said that every aspect of the dogs was examined and compared by judges to find the best of the best on show. "There is a breed standard for each dog, and so the judges' opinion is what dog meets the breed standard the best, as well as the personality and performance of the dog," she said. She said Rosie's success was due in large part to her temperament and wonderful personality. "She is the epitome of a beagle - she is a merry hound, her tail does not stop and she's so energetic in the ring, it's ridiculous," she said.